Chatting With Chris | Miguelito's Little Green Car. We are all connected. Chris Wynters is the Director of Festival Marketing and Partnerships at Six Shooter Records. For five years prior to that, he served as the Executive Director of Alberta Music. 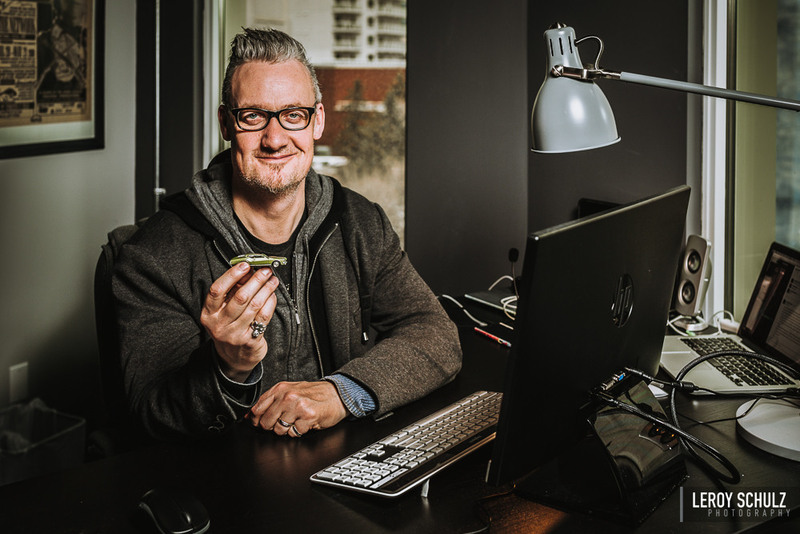 He his experience in the music business spans such roles as songwriter, producer, studio owner and road-weathered touring musician from his over 20 years of fronting Captain Tractor, one of Alberta’s most successful indie bands ever. He’s also an experienced theatre artist, working as an actor, an award-winning music director and composer, and as the creator/composer/lyricist of a number of original musicals. He continues to serve as Vice President of the Western Canadian Music Alliance. He clings to his British Passport. His favourite songwriter is Stephen Sondheim. He cohabitates with his loving wife, two great children, a dog (Rosie), two cats (Beijing and Esther) and a tortoise (Jack). Miguelito’s Little Green Car is a long term art project for a ten year-old boy named Miguelito meant to remind us that we are all connected. Canadian photographer Leroy Schulz, with the help of hundreds of particpants and supporters. For my commercial work visit my website. Copyright © 2007-2017 Leroy Schulz. All rights reserved.